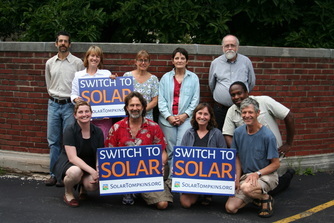 Solar Tompkins is organized as a not-for-profit corporation in New York State. The Solar Tompkins Board includes representatives from all 10 towns in Tompkins County, and, currently, four additional at-large members. At-large members include a representative from the Tompkins County Planning Department, and three former Directors of Solar Tompins projects including Solarize Tompkins SE, Switch to Solar, and the first HeatSmart effort.